your valued customers, and generates revenue. As a license compliance manager for a software company, I have the responsibility to make sure the companies’ policies and pricing are administered professionally and fairly on a worldwide basis. I help our clients with software asset management (SAM) and may periodically audit clients to make sure they are fully compliant. I’m also responsible for addressing software piracy and making sure genuine software is used in accordance with the license agreement. Why is An Effective Compliance Program Important to My Company? My company has a responsibility to protect our intellectual property (IP), while adhering to data-privacy legislation like GDPR and the California Consumer Protection Act. This includes both a fiduciary responsibility to our shareholders and an ethical responsibility to our employees who have invested in developing our great software assets, as well as our valuable clients. Unfortunately, either through circumvention or simple naïveté, some of our software assets are over-deployed or outright stolen through deliberate software piracy. How Is Out-of-Compliance Software Affecting Me? I feel the pressure from management to address piracy and non-compliance problems and solve them. However, the sales teams want to be sure we don’t upset existing customers with messy audits. We also have legal challenges regarding data-privacy legislation like GDPR and the California Consumer Privacy Act. And marketing is concerned about brand protection based on vulnerabilities or malware from counterfeit versions of our software products. I need to implement a comprehensive global license compliance program that is cost effective, scalable, secure, and fully compliant with data-privacy legislation. We need detailed big data, an in-depth investigation methodology that is not invasive, and the data analytics that detail the extent of our piracy problem. I need a strategy that is effective in both the developed world and emerging markets. Most importantly, I need to deliver measurable financial results and a head-turning return on investment that will impress the CFO, the general counsel and the VP of sales at the same time. Some of our enterprise customers have cut back on the purchase of new licenses and support. They may not know or are ignoring the fact that their employees are violating the license agreement by sharing a single license for multiple users or making illegal copies. They need to understand that creative licensing is just as illegal as piracy. A comprehensive license compliance program that gathers usage data will provide detailed information on people using our software illegally so that the salespeople can re-negotiate enterprise license agreements and bring customers under complete compliance. The SmartFlow “virtual audit” ability can increase target conversion rates by 50-100 percent, and it will eliminate the guesswork involved in estimating under-compliance and/or invasive on-site customer audits that disrupt business and threaten customer relationships. With the usage data Smartflow gathers, I can provide management and the legal department with the details needed to negotiate a monetary settlement or initiate a successful legal action to recover lost revenue from piracy. I need to make sure that our customers are purchasing only legal licenses of our software. The data gathered from a SmartFlow license compliance program will help me protect our software brand and our customers’ operations by identifying and eliminating counterfeit licenses and cracked versions that don't work properly and may contain dangerous malware that hinders operations. 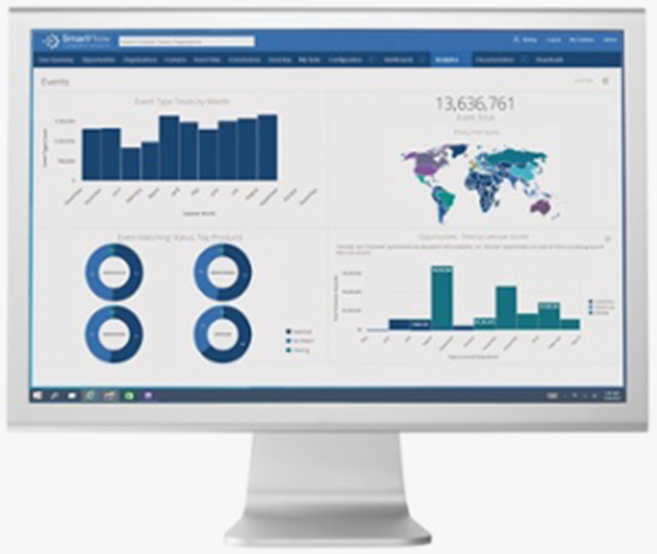 SmartFlow’s sophisticated data enrichment and analytics can be visualized with customized reporting that makes sense of the patterns that emerge from the usage data gathered and can help my management and executives analyze business and market trends to make more informed decisions. 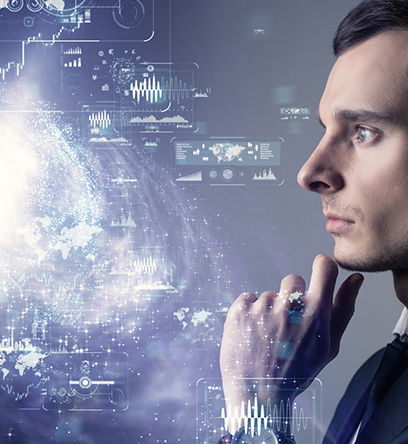 The data gathered by SmartFlow will help management understand how, when, and how often customers are using our software, as well as what parts of the product are being used, what the benefits are, and what benefits are missing. This will provide valuable insight into new features we need to develop, as well as to sales to understand which customers are not fully leveraging the product and might not renew their licenses. Sales will also be able to use SmartFlow’s software usage analytics to optimize trial evaluations, discover technical support issues, and re-negotiate enterprise license agreements. 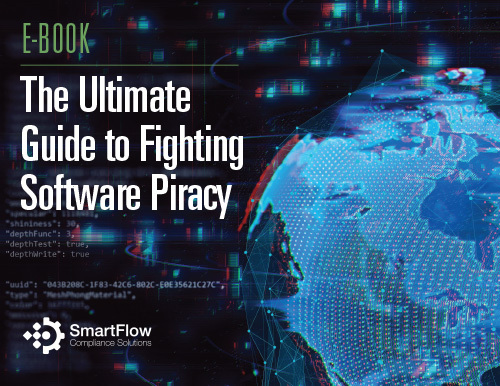 Our comprehensive SmartFlow compliance program will enable me to continually monitor usage of our software so that I can ensure our licenses are being used properly and stay on top of piracy to shut it down quickly. The pirates will understand that we are not a quick and easy target and will seek less formidable victims. Sales and marketing will be provided with a steady stream of leads from actual users who simply need to be informed of the terms of our license agreement and persuaded to pay for each software installation.